Applications are open for Asia-Pacific’s third annual FinTech Innovation Lab, Accenture’s 12-week program that helps early- and growth-stage financial technology (fintech) companies accelerate product and business development by gaining exposure to top financial institution executives. Applications can be made at www.fintechinnovationlab.com and close on May 31, 2016. 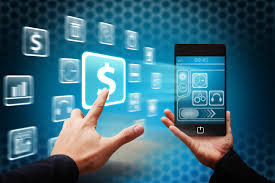 The FinTech Innovation Lab Asia-Pacific is a program for entrepreneurs that are developing cutting-edge and disruptive technologies for the financial services sector – particularly in the areas of big data; analytics and cognitive computing; security and identity management; risk management and compliance; digital marketing and social media; cloud; payments; blockchain technology; talent management; and, Internet of Things applications. Chief technology officers and senior technology executives from the financial institutions will selecttwelve of the applying fintech companies to participate in the Lab through a competitive process and will then provide them with intensive in-person mentoring in Hong Kong. The twelve principle financial institutions are: Bank of America Merrill Lynch, BNP Paribas, Commonwealth Bank of Australia, Credit Suisse, Generali, Goldman Sachs, HSBC, J.P. Morgan, Maybank, Morgan Stanley, Sun Life Financial and UBS. In addition, supporting banks include: China CITIC Bank International, China Construction Bank (Asia), Macquarie, Nomura, Standard Chartered, Siam Commercial Bank, Societe Generale, Sumitomo Mitsui Financial Group (SMFG). Applicants must have a working beta version of their technology. 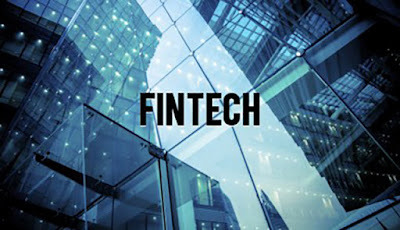 The Lab, which begins in August 2016, will partner the chosen fintech entrepreneurs with senior-level bank and insurance company executives and leading technology entrepreneurs, to help them fine-tune and develop their technologies and business strategies through a series of workshops, panel discussions, user-group sessions, networking opportunities, one-on-one meetings and presentations. Cyberport will provide work space to participating entrepreneurs, and J Plus Hotel by YOO will assist with accommodations. The Lab culminates in November 2016 with a Demo Day presentation by selected participants in front of an audience of venture capitalists and financial industry executives. According to FinTech and the Evolving Landscape, a report issued by Accenture in early April, the value of fintech investments globally rose to more than $22 billion in 2015, with Asia increasingly capturing a larger share of the market. Participants in previous labs have, for example, gone on to work with some of their mentees and mentors. "This year", continued Cheng, "our intention is to explore more opportunities to use fintech products in our strategic locations like the Pearl River Delta to provide simpler, better and faster financial services to our customers." "Our participation in the lab and the collaboration with HSBC that followed, has helped propel FinSuite from a small Australian startup to a global fintech participant, currently expanding into MENA and the US," said founder and CEO Bart Jesman. The FinTech Innovation Lab Asia-Pacific is modelled on a similar program that Accenture co-founded in 2010 with the Partnership Fund for New York City, the US$115 million investment arm of the Partnership for New York City (www.pfnyc.org). In 2012, Accenture and a dozen major banks in London launched the FinTech Innovation Lab London, with support from the city’s mayor and other government bodies. In 2014, Accenture launched FinTech Innovation Labs in Asia-Pacific and Dublin, Ireland. Globally, the Labs’ alumni companies have raised more than US$335 million in financing after participating in the programme. Four companies from the New York FinTech Innovation Lab have been acquired, two in 2015 alone, including Standard Treasury and BillGuard. Your Post is very useful, I am truly to this blog which is specially design about the Fintech.